shop nowAt the end of scorching New York summer's day, the rain came down in torrents (as it often does) to reveal a shimmering jewel-toned sunset. 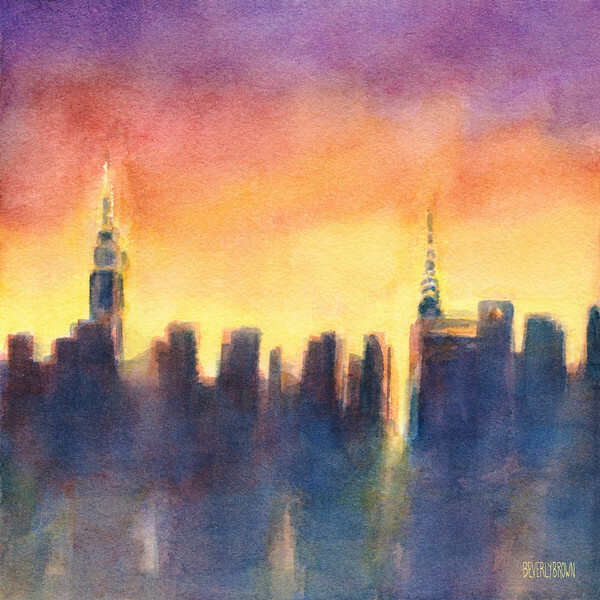 This classic view of the Manhattan skyline from the East River waterfront in Long Island City, Queens is captured in impressionist style watercolor. Copyright Beverly Brown.